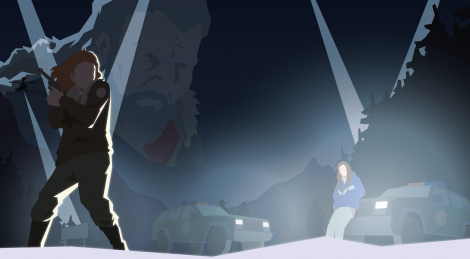 A sequel to the noir drama game that mixes adventure, strategy and management genre have been announced by THQ Nordic and Weappy Studio. This Is the Police 2 welcomes you to Sharpwood which by the looks of it could fit in a season of Fargo. Lilly Reed (voiced by Sarah Hamilton) is the new Sheriff who has to maintain order and peace with subordinates not used to take commands from a woman, gangs thinking the town is theirs and the arrival of a suspicious man. It's coming later this year on PC, PS4, Xbox One and Switch. Vienna, Austria/Minsk, Belarus, January 30th, 2018: Welcome to Sharpwood, a remote border town in the north. It's a rough, cold place, where inhabitants know their neighbors by name and faithfully keep to their traditions, no matter how barbaric those traditions might be. Smugglers, gangs and screaming populists have made this town their home. Despair grows like a cancer, hand in hand with violence. It’s a hell of a job for the new sheriff, Lilly Reed (voiced by Sarah Hamilton, of the celebrated adventure saga The Longest Journey). She has to maintain order and peace even though her subordinates are uncouth men who aren’t used to receiving commands from a young woman. But everything changes when a mysterious stranger calling himself Warren Nash appears in Sharpwood. And no one knows what he'll bring to the town: salvation or perdition. Just like the first game, This Is the Police 2 is a mixture of adventure and management genres, and this time it enjoys further unexpected mechanics that will strengthen both the strategic and tactical parts of the game. It won’t be enough just managing the equipment of your policemen and keeping in mind their individual skills. Every challenge requires the player’s direct participation, and the outcomes will depend on every decision you make. Now your subordinates aren’t just some resource; they are living people with their own strengths, weaknesses, fears and prejudices, and you'll have to reckon with all these things in order to survive. 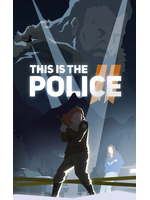 This Is the Police 2 will be released later this year on PC/Mac, PlayStation®4 computer entertainment system, Nintendo Switch™ and across the Xbox One family of devices including Xbox One X.